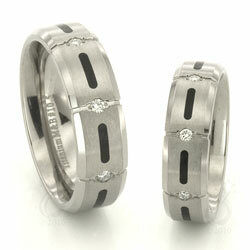 Palladium is quickly becoming my favorite metal for guy’s wedding bands. The slightly gray color, and the fact that palladium acts a lot like platinum – but without the platinum price – makes for a great, masculine ring! The black strip is pretty cool as well as the comfort fit. A great example of the beauty of rose gold. White gold is an alloy of gold and some white metals such as silver and palladium. 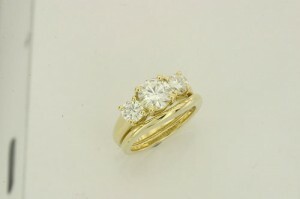 White gold can be 18kt, 14kt, 9kt or any karat. When white gold rings are new they are coated with another white metal called Rhodium. Rhodium is a metal very similar to platinum and Rhodium shares many of the properties of platinum including its white color. The rhodium plating is used to make the white gold look more white. The natural color of white gold is actually a light grey color. The Rhodium is very white and very hard, but it does wear away eventually. To keep a white gold ring looking its best it should be re-rhodium plated approximately each 12 to 18 months. 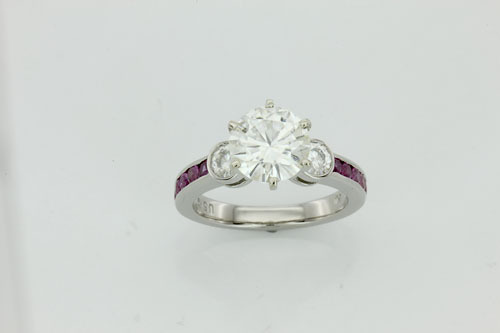 Most local jewelers are able to rhodium plate jewelry for a cost effective price. 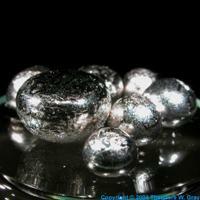 Titanium is a white metal, but unlike gold it is used in jewelry in almost its pure form (approximately 99% pure). Titanium is extremely long wearing. Its natural color is a gray color. Titanium is very lightweight, so a titanium ring will feel much lighter than an 18kt gold ring and much lighter than a platinum ring. Titanium is also 100% hypoallergenic. Titanium also has a unique property which allows the titanium to be colored to bright colors such as blue, purple and black. Unlike other metals (such as gold, platinum and silver) titanium is a difficult metal to work with from a jewelry perspective. Titanium is a very hard metal which wears down jewelry making tools very quickly. Titanium also cannot be soldered (joined by heat). Soldering is used in the manufacture of the majority of traditional jewelry items. Because titanium cannot be soldered, the method of making some jewelry items is restricted when using titanium.For example titanium cannot be used to make a prong setting for an engagement ring. 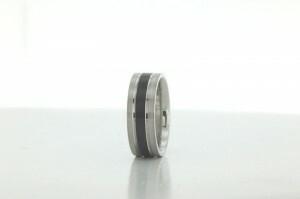 That is why you will see that many titanium rings have parallel bands rather than tapering bands and why you will not see titanium rings with prong settings. 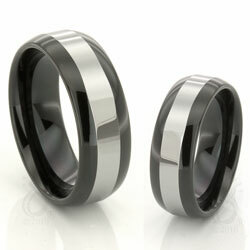 For the metal itself titanium is generally less expensive than 9kt white gold. However, because titanium is difficult to make jewelry with the labor costs of titanium can make the price of a titanium jewelry a little higher. Though white gold will still normally command a higher price than titanium. Style 9628 shown with pink sapphires in palladium! You may or may not be aware of this extremely rare metal from the platinum family, but chances are you own some of the metal which was recently priced at $10,000/ounce. Rhodium is used in the fine jewelry finishing process. White gold jewelry is plated with rhodium to give it a bright white color (remember, all gold starts out as pure, or 24kt, which is extremely yellow. It’s only after alloying the gold that it gets its white(er) color). Rhodium is also used in catalytic converters in automobiles. This informative article give some history and insight into rhodium, along with palladium which is another platinum family metal used in jewelry making. It highlights the extremely volatile price of the metal which has seen a greater than tenfold increase in recent years when rhodium reached its peak price of $10,000/oz in 2008. It also explains its extreme scarcity and increasing demand. Click here for the full article. To see examples and additional information on palladium and other metals, visit our Metals section of our blog by clicking here. Here’s a great line of alternative metal jewelry that is available to you. There is a great selection of titanium, tungsten carbide, ceramic and stainless steel wedding rings, necklaces, watches, money clips, etc. Click on the picture to view the PDF version of the catalog. It’s kind of a big file, so be patient. Also, the retail prices are MSRP, you’ll get a substantial discount from these. Call for details or send us your questions here. So you just read the title and you’re sighing already. Spiritual power of gemstones? How is that possible? What kind of new-agey post is this? Gem stones hold onto energies. 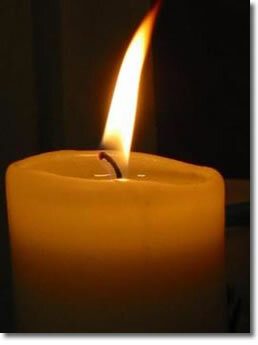 It is this which makes them so helpful in magical tasks and healing. They act as containers for magical energy. This makes gem stones ideal as altar tools and charms for spells. For healing, stones are willing to have disease transferred into them. They then hold onto it until it can be safely flushed away. Healing stones don’t need to be gem stones – river and lake stones work wonderfully. This ability to hold onto energy also means that new gem stones aren’t “fresh.” They are holding energies from past owners, people who mined them, people who polished and set and sold them, and people who held them in the shop before you picked them up . . . So take care to cleanse all new stones thoroughly before using them. Amethyst Healing on all levels – body, mind, and spirit. Raises vibrational frequency and protects against negative energies. Amber Transmutes negative energy into positive. Bridges conscious self to the Divine. Diamond Purifies. Amplifies thoughts and feelings – both positive and negative. Hematite Grounding. Clarifies thought, improves memory, and calms anxiety. Lapis Lazuli Deep wisdom and intuition. Opens the third eye and leads to enlightenment. Moonstone Balances yin and yang. Enhances the inner feminine, and acceptance for yin attributes. Opal Amplifies emotion, insight, and spontaneity. Very potent, and can cause difficulties with the wrong person. Each colour of opal has its own properties. Pearl Pure mind and heart. Balances emotions and reduces stress. Quartz Crystal Attracts, amplifies, and sends energy. Easy and safe. Useful for all kinds of healing. Rose Quartz Balances yin and yang, restoring harmony after emotional wounding. Turquoise Highly spiritual yet grounding. Uplifting to unconditional Love. Aligns chakras and opens heart. Gold Symbol of the Sun and the God, as well as purity of spirit and eternity. Silver Symbol of the Moon and the Goddess, the soul, and the beauty of the Wheel of Life. Whenever we make a ring in 18kt yellow gold I’m reminded how beautiful the metal is. It has a very royal look to it, a color so rich that you can nearly taste it! Remember, you can have any ring on our site, custom made or otherwise, done in 18kt yellow gold! Whether you go with moissanite or naturally minded diamonds, or black and silver tungsten or rose gold; whether you want a more traditional look or something more distinctive and now, we can make a piece tailormade to fit your dreams. Here is a sampling of some of our latest arrivals at Joseph Schubach. Some of these pieces are totally sharp and cutting and edge in design while others maintain a classic allure. We are very excited to display this new arrival. It’s sleek, futuristic and a definite eye-catcher. 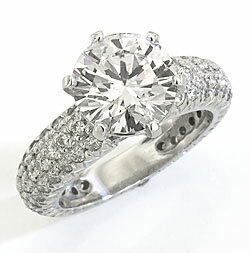 Similar in its “now” appeal, the diamonds in this ring add another level of complexity in look. This delicate but bold ring features three rows of perfectly set and perfectly matched pave diamonds. Each row of diamonds gradually and elegantly tapers from the top of the ring to the base of the ring. The ring also has pave set diamonds between the prongs and beneath the prong assembly highlighting your center stone even more. 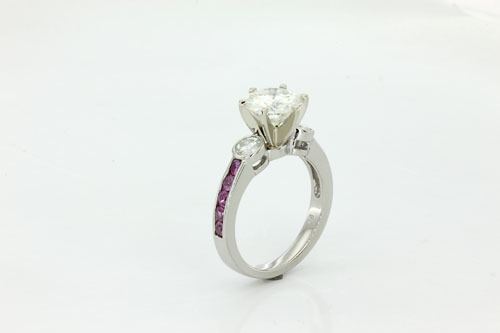 This is one of our Specialty Items which means each piece is made specifically to your specifications of ring size, metal preference, center stone size and preference and incorporating any other changes or ideas you might have. We just received an email from our goldsmith of a piece that’s going out today. 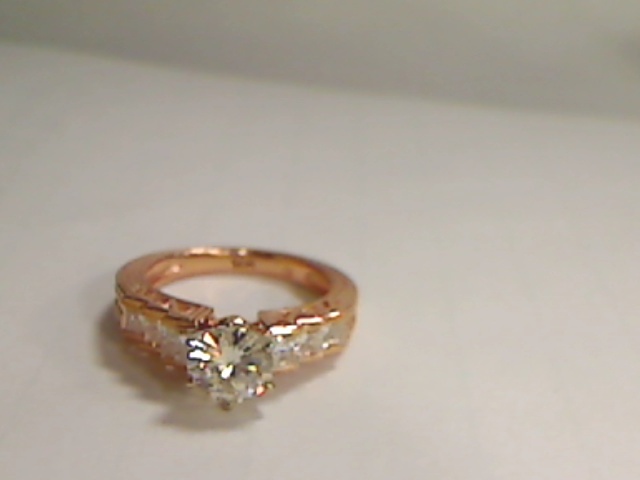 This ring was made in 14kt rose gold, and our goldsmith thought it was so pretty she sent over a quick picture for us to see. We have to agree, it’s absolutely gorgeous in rose gold! It’s our style number 10137, which you can see here.